Oats contribute vitamins, minerals, iron, calcium, protein and natural antioxidants to your diet. 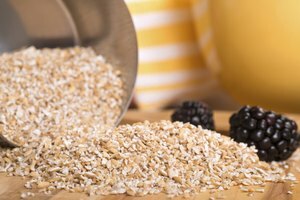 In addition to their well-known use as a breakfast cereal, oats can add flavor and nutrition to desserts, breads, pilafs and even soups and salads. Roasting enhances the nutty flavor of oats and turns them a light brown color. You can roast whole, rolled and steel-cut oats. 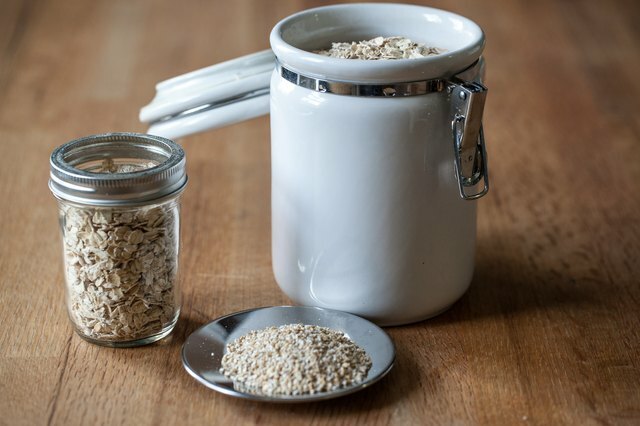 Store oats in the refrigerator or a cool pantry to prolong their shelf life. 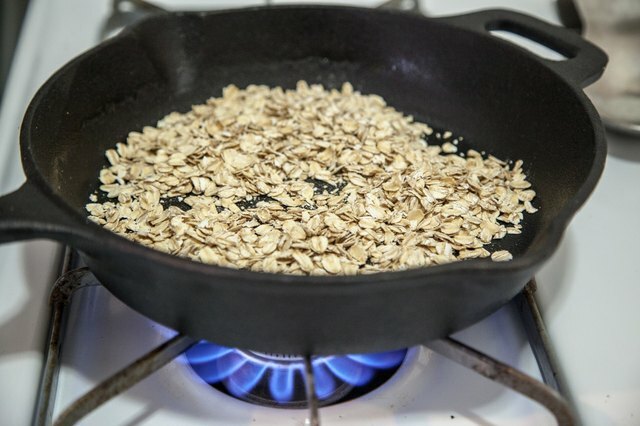 Measure the desired amount of oats into the skillet. Place the skillet on a burner over medium heat. Stir the oats constantly for about three minutes, until they turn light brown and smell toasty. Your oats may require more or less time depending on how hot your stove top gets; rely on sight and smell rather than a timer. Use the roasted oats as directed in your recipe, or allow them to cool and store in an airtight container for up to a year. 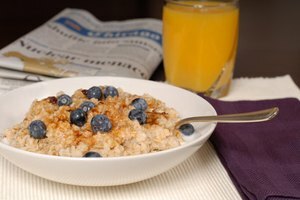 To cook oatmeal immediately after roasting the oats, add 1 1/3 cups water per cup of oats to the skillet along with a pinch of salt. 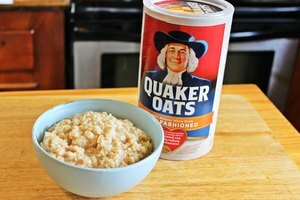 Simmer for 10 to 15 minutes for rolled oats, or 25 to 30 minutes for steel-cut oats. Add desired sweeteners, spices or other flavorings after cooking.